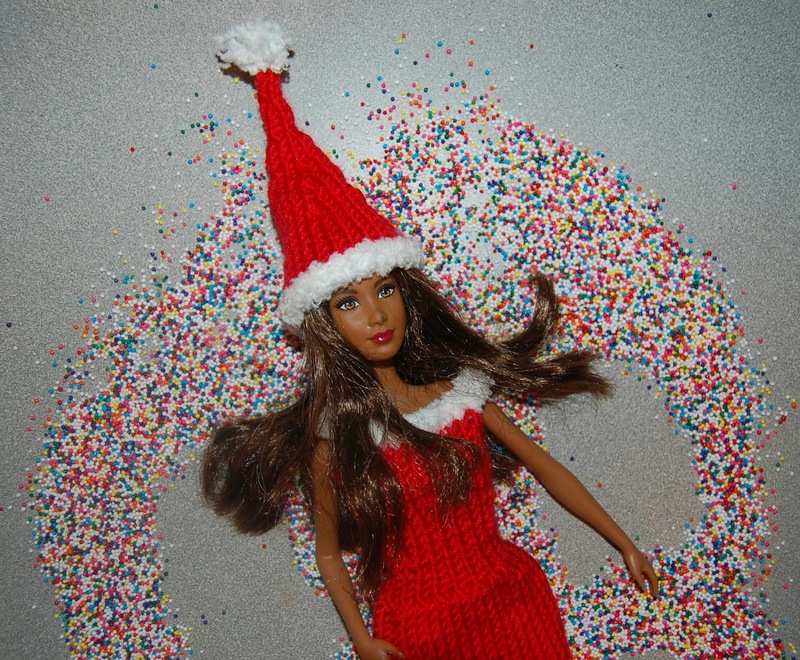 Elf on the Shelf 101: Everything you need to know. Hello and welcome to my BLOGMAS series! If you're here, it means you are about to get pulled down the Elf on the Shelf Rabbit hole. It's Christmas time and you want to start a new tradition with your kids. Well I was here once too and I seriously had no idea what the elf was. I would see him ALL the time on social platforms. It looked like a cute thing to do but I didn't really look into it much. 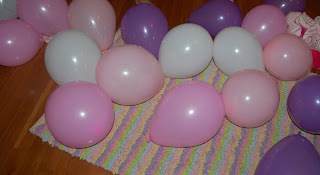 I finally decided to do it for my kids a couple of years ago and I really had some fun with it. There are DEFINITELY tons of stuff I WISH I knew before I started though, and I'm here to save you the trouble. What is Elf on the Shelf anyway? Elf on the Shelf was created by Carol Aebersold. When Carol was growing up, her parents had an elf that would watch her and report back to Santa. She loved this as a kid and decided to continue this tradition with her family! The Elf is sent by Santa to watch your children's behavior and report back to the North Pole to decided if they have been naughty or nice. The elf only moves when the children are asleep and are not to be touched! If they are touched, they will lose their magic. This is the main thing that I wish I knew before starting my Elf tradition. While every family is different, I believe I started with my elf a little too late. If I had to recommend to everyone, the best age for the elf is ages 2-4. At this age, your children are still young enough to believe everything you say. I think I did mine 2 years ago...when my kids were like 5 and 8...anyways my youngest was all about it but they were also hearing from their older friends that the elf wasn't real and they started questioning it. Where can I purchase my elf? Luckily, you can purchase an Elf almost anywhere! Walmart, Target, Amazon, I see them all the time! I did something totally different. I didn't purchase the traditional elf from the store. 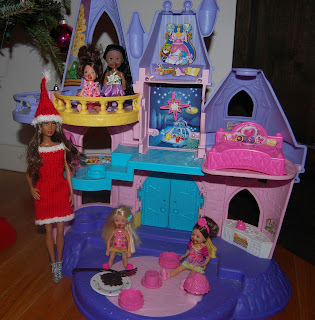 Instead I used a barbie and ordered her a custom north pole outfit. Her name was Jezebel. How do I introduce my Elf on the Shelf? Meet our Elf, Jezebel. When you purchase the traditional Elf on the Shelf, it will come with a book you read to your children and ways to introduce him. What I see online a lot if people introducing the elf with a North Pole Breakfast...usually white powdered doughnuts. Then they read the book to their kids and they choose a name for the elf. The rules about not touching the elf are reviewed with your child so they are aware that he will lose his magic if touched. I introduced Jezebel with a letter. The girls have these little mailboxes in the kitchen and every morning they go to eat breakfast the check if they have mail. I put a letter from Jezebel in the mailbox basically explaining to the kids who she was and that she would be coming to watch them to report back to Santa. SO...I was not feeling the traditional elf at all. I didn't want to spend the money on him, I didn't feel like I needed the whole kit and plus I wanted to have a beautiful, fierce elf on the shelf. I wanted an elf that looked more like us. So I grabbed one of my girls old barbie dolls, and ordered her this freaking adorable santa outfit from etsy. It came within a week or so and just like that, I had an elf of our own! I like her more than the traditional elf for our family at least. Many families like to introduce their elf with the traditional North Pole breakfast. 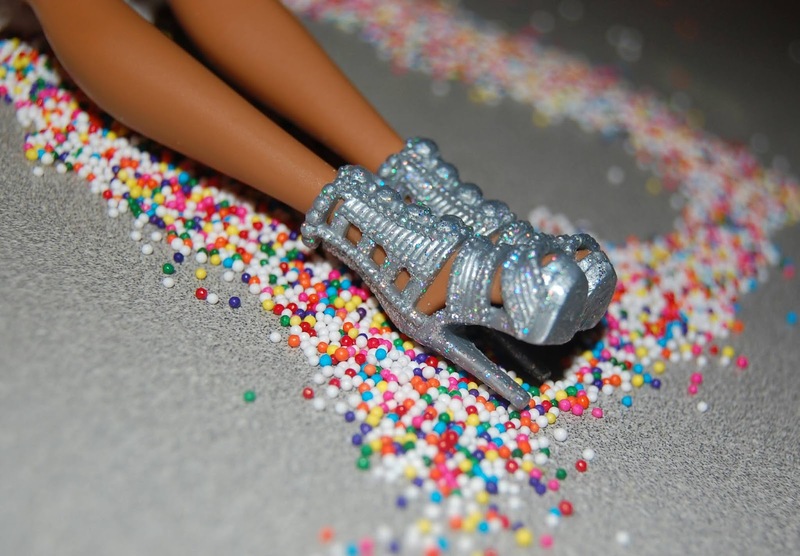 It usually includes white powdered doughnut holes because they make your elf feel more at home. My kids loved this and I had a blast starting a new tradition with them. 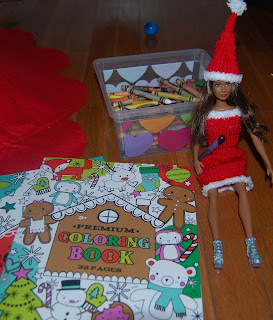 My Elf on the shelf ideas. 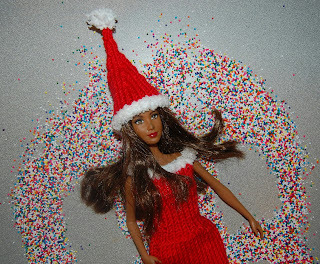 When I decided to do the elf, the first thing that I did was check Pinterest for elf on the shelf ideas. I saw some cute ones, but most of the time it was basically the same thing over. There weren't that many out of the box ideas. So I tried my best to come up with some fun ideas of my own. 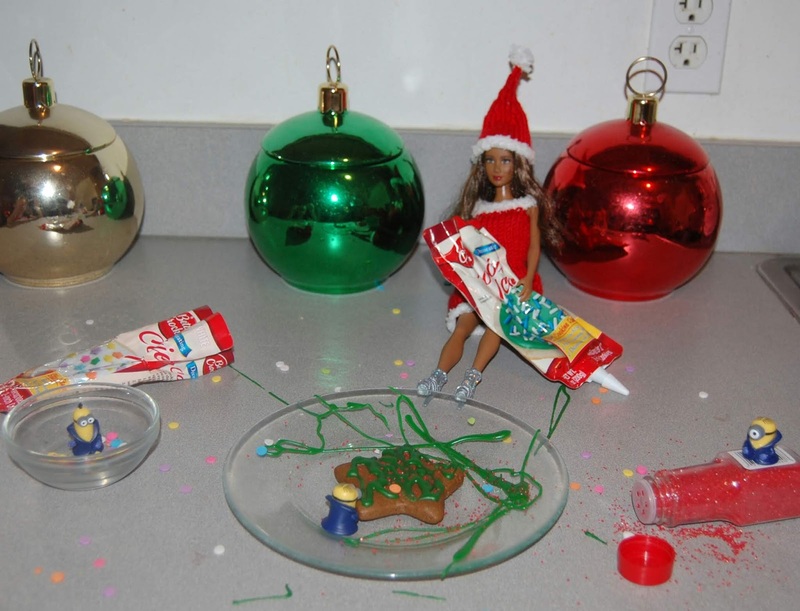 I hope you include these ideas in your elf on the shelf routine. This one was a fun one to do, but also a very messy one. I only suggest doing this one if you are prepared to clean up for days after. I had a bag of sand left over from our beach trip that summer and I didn't know what to do with it. I went to the bank and grabbed 6 gold dollar coins. Then I went home and filled a bowl with sand from the beach, and left 2 spoons next to it with along with Jezebel and a note that told the kids that they needed to use the spoons to dig for treasure. Jezebel and the Minions got into our gingerbread cookies and they tried to decorate cookies of their own! They made a huge mess and I would always complain about cleaning up behind them to make it seem more believable to the kids. There is nothing really unique about this, I just loved how the photos turned out. This one was messy too. There were sprinkles everywhere for days after I cleaned up. But super fun nonetheless. We had made some chocolate cupcakes the night before, So I took a teeny tiny piece of cake and put it on one of the kids small plates. I wanted to make it look like Jezebel was babysitting, so I pulled out some of the kid dolls that we have and smeared cake on their faces. When the kids woke up, I told them that Jezebel was being a bad babysitter and giving the kids cake. Another thing I did with my elf was make her bring little gifts to the kids all month. She brought lots of things like gingerbread house kids, a fudge kit, movies, coloring books, balloons, etc. I bought this cute silver barbie car at a consignment sale for only $4 but sadly my kids weren't into it and it didn't get much use. I decided to use it for my elf by putting her in it with our Iron man doll. The girls liked this one. This one was super cute as well and the kids really loved it. I gave them some tic tacs to 'plant' in a bowl of sugar and I told them they would have to wait until the morning to see what would happen. Then overnight I 'planted' some Christmas cookies and told them that they grew overnight. Super cute and fun! Have you joined my Facebook group for lifestyle, travel, beauty, and fashion bloggers? If you are looking to promote your blog posts, grow your socials, get awesome resources and killer freebies, then this group is for you! See you there!